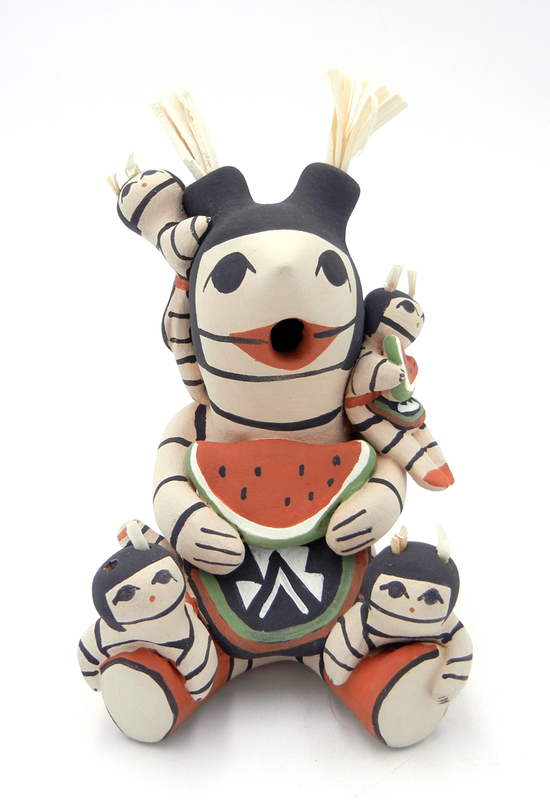 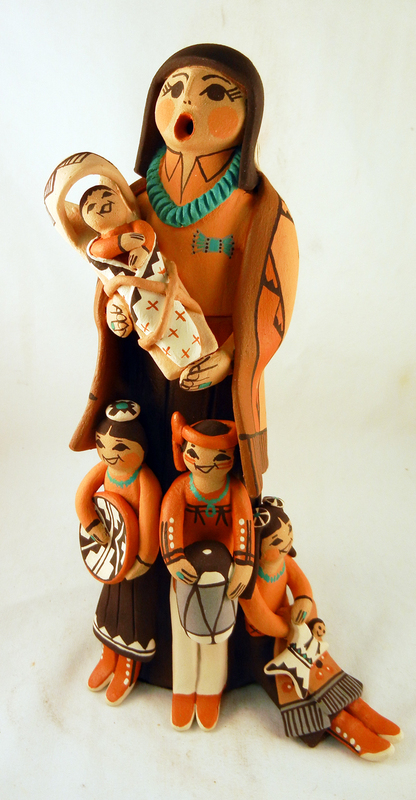 Palms Trading Company in Albuquerque, New Mexico recognizes the art of storytelling as an important part of Native American Indian traditions and cultures. 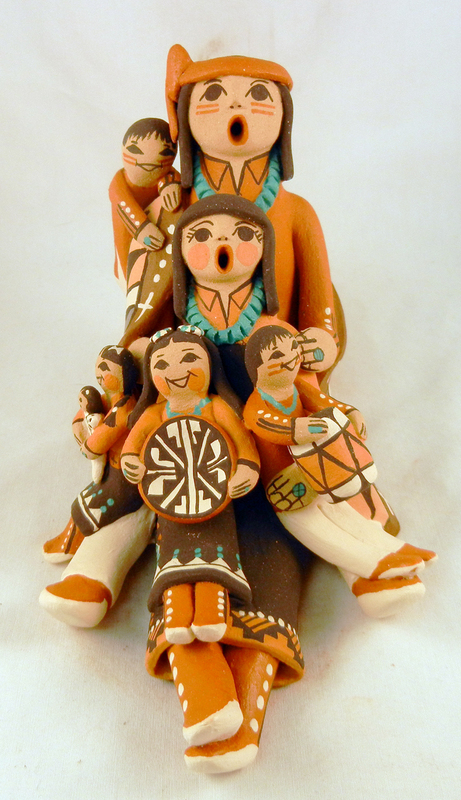 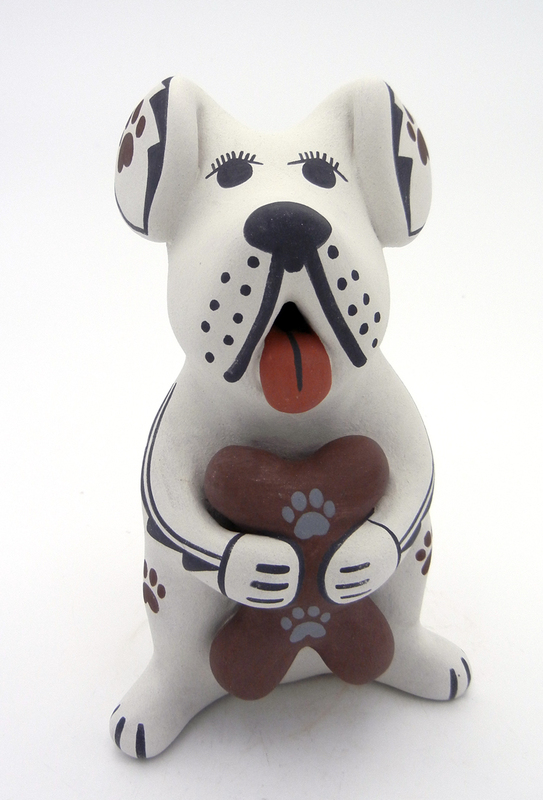 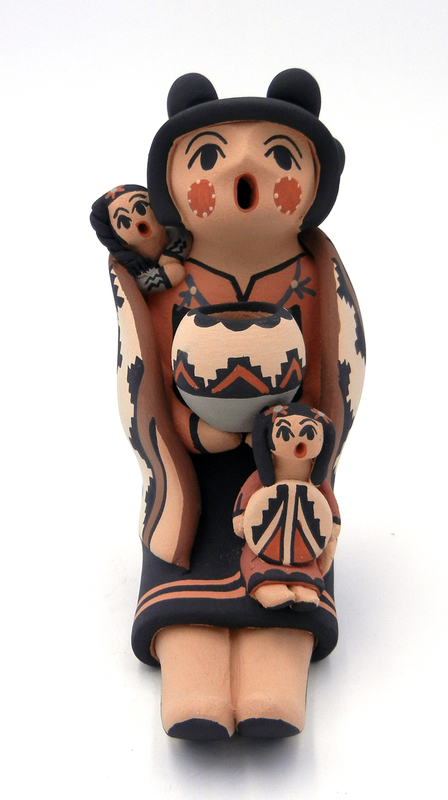 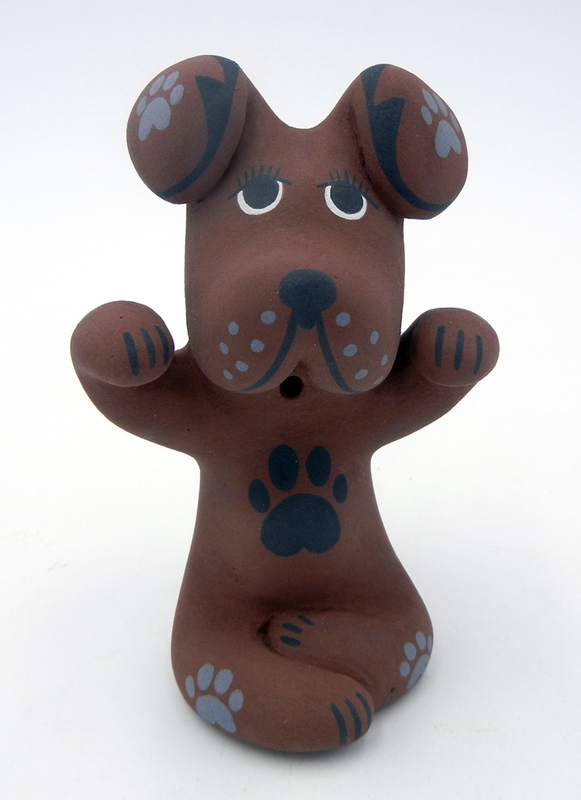 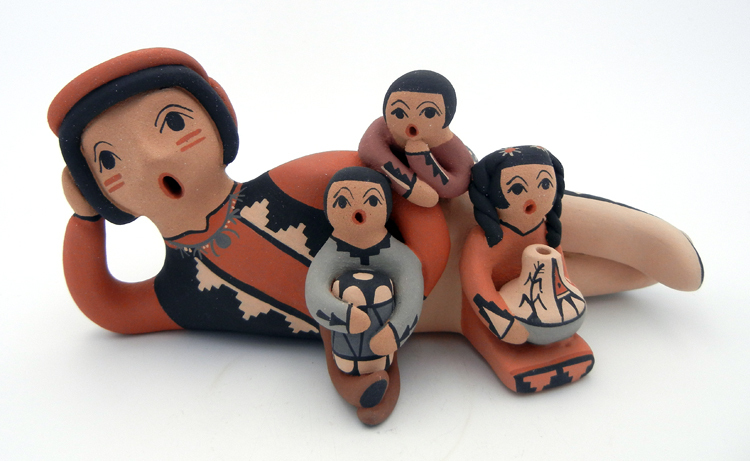 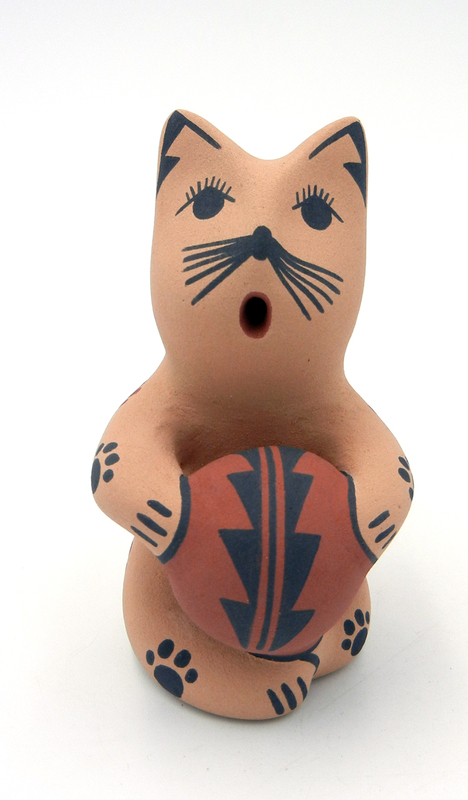 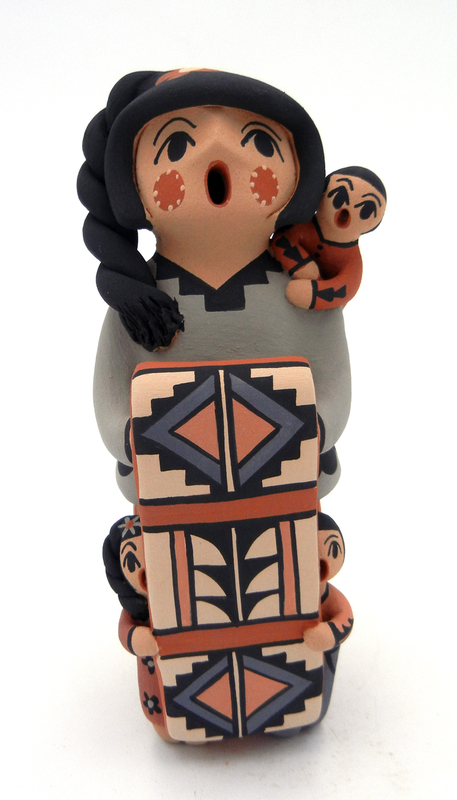 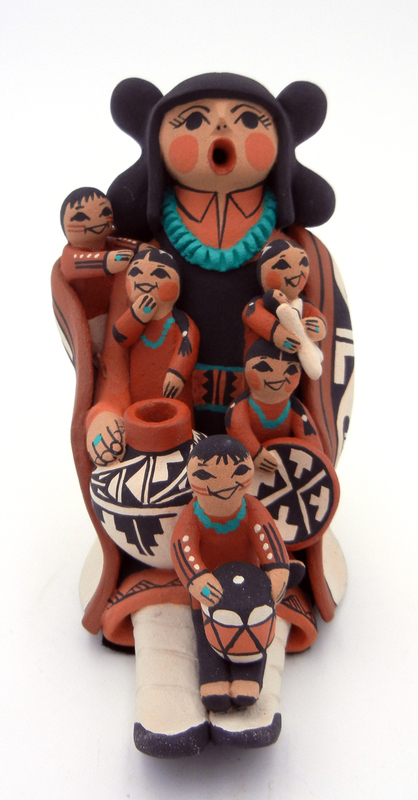 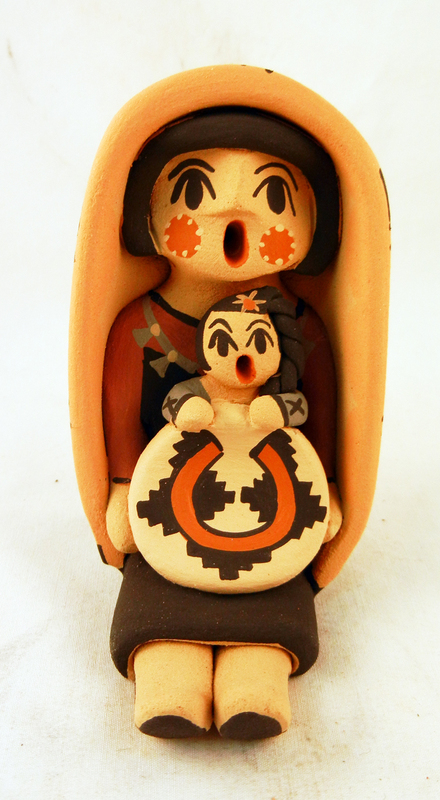 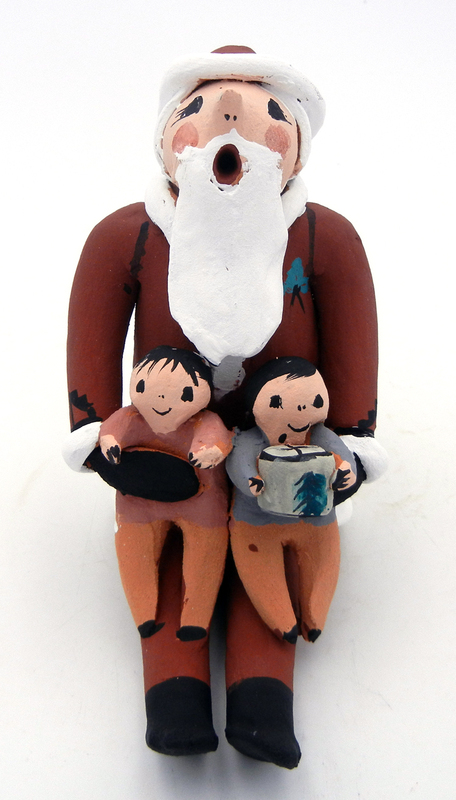 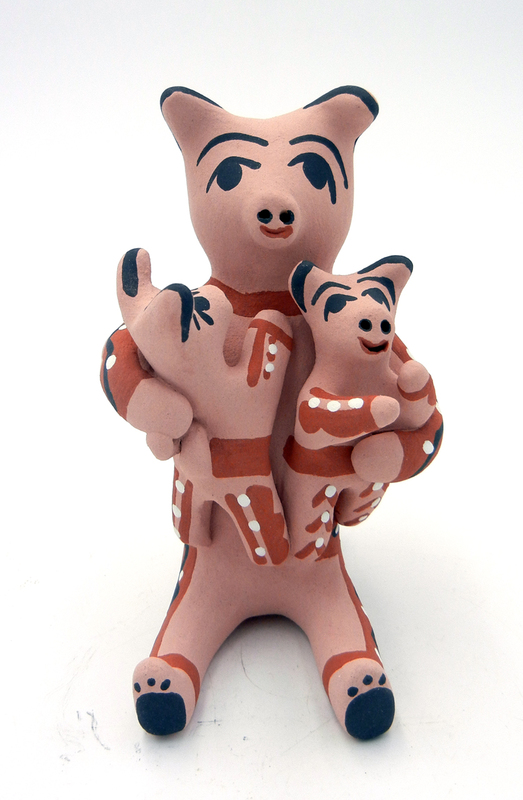 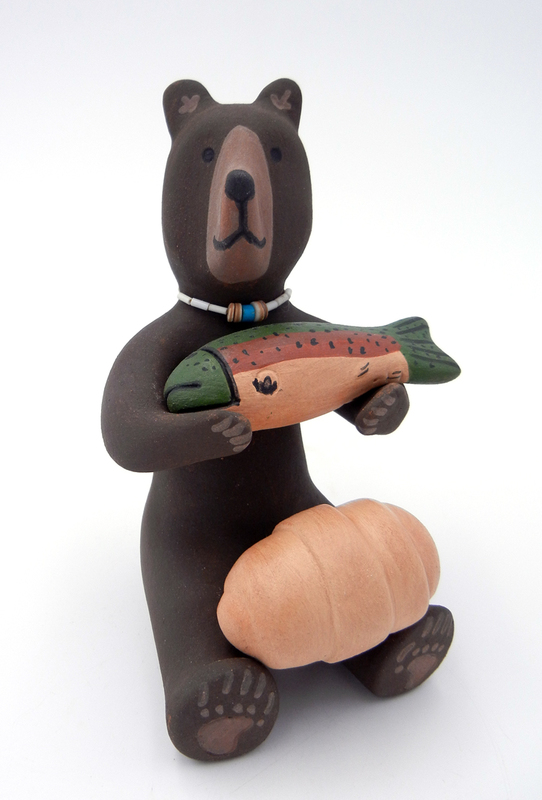 The Jemez Pueblo Indians have possibly been the most prolific when it comes to making this kind of Native American Indian art, with some characteristics of their pottery integrating with each storyteller piece such as the clay-slip color scheme. 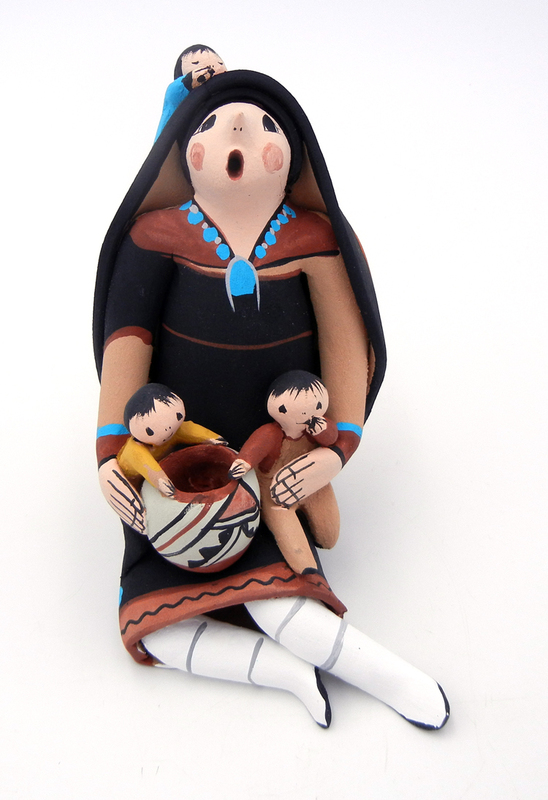 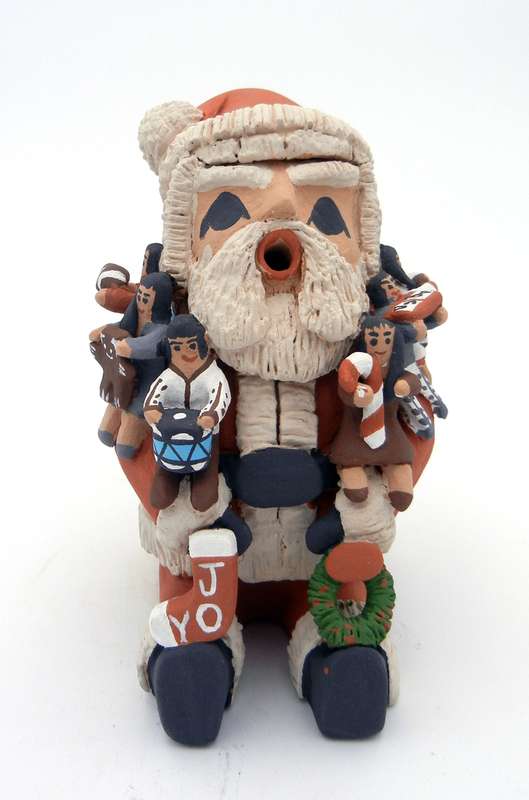 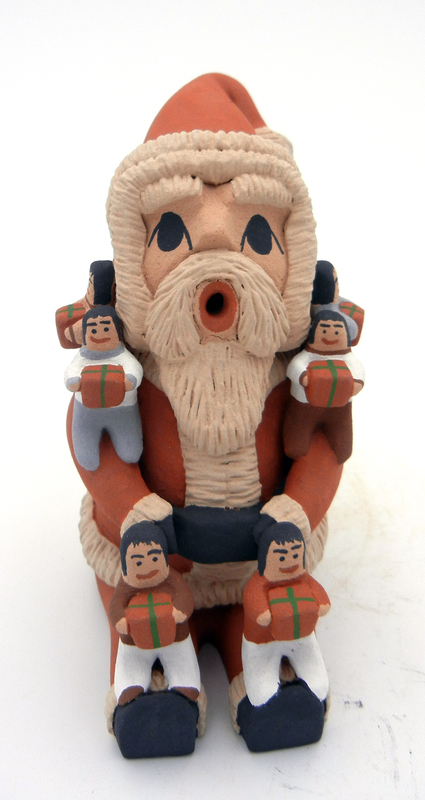 Jemez Pueblo Indians have deviated from traditional figures when making their storytellers and sometimes even borrow more contemporary characters from mainstream culture such as Santa Claus and elves. 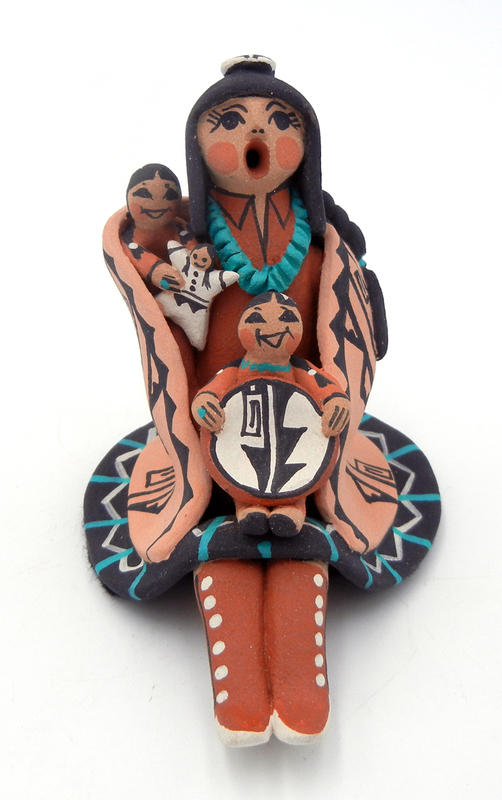 Collecting storytellers from our company guarantees you are receiving an authentic, handcrafted item steeped in Native American Indian tradition.